NLP Training Newcastle upon Tyne. This is a 12 day NLP Practitioner Training over six months that will give you valuable hands on tools to change the way you communicate with yourself and others so that you can effectively motivate, influence and learn new skills. The real excellent price for this six month training is only £675 for 12 days. 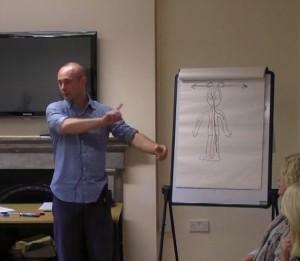 Incredible value NLP Practitioner in the UK. It is this price because I believe you need total value for your money and because I am dedicated to the success of the people in the North East community. Are you looking to change career into the people helping or therapist line of work? Are you thinking about becoming a hypnotherapist? Are you working as a therapist and want new and additional tools? Read this first! Unless you live alone on a desert island you need to be able get on with other people. You need to be able to communicate with, and influence, yourself, family, friends, colleagues or clients. Sometimes that can be very difficult. Professionally you know how important it is to able to make yourself understood and to effectively influence. Its a real skill to understand and grasp new concepts quickly from others and to be able to communicate at all levels. Being able to communicate powerfully will be much easier for you. You’ll have the skills to easily develop rapport with just about anyone you meet. ‘You will learn how to have your unconscious mind work for you instead of against you. Sometimes we seem to do things that make no conscious sense and no matter how hard we try we are not able to talk ourselves out of them. You will learn how to harness the power of the subconscious and resolve inner conflicts. We don’t believe short concentrated courses produce skilled and experienced practitioners. If you just want a piece of paper that says you are an NLP Practitioner you can do a practitioner course online! You can also do a Practitioner course in 7 days straight and no integration time. You can learn to drive a car in 7 days but does that make you an experienced and competent driver? A full and complete NLP practitioner in 7 consecutive days? No. The minimum number of days I feel works is nine and this is spread out over three to four weeks so you do have time for integration of the skills. Not only do you get an NLP Practitioner Certificate, but woven into the course is an introduction to EMI. Eye Movement Integration, or EMI, is a simple and effective change technique that’s easy to learn and apply. EMI and NLP makes a very powerful combination. Good question. Here are some stories from previous course attendees. There are no hidden costs in this training, No VAT, no extras, no catches. The price you see here is the price you pay. The full cost of this training during these credit crunch times is a excellent value at only £675. There is an additional fee for SNLP certification. My course fees are totally transparent and they are here for all to see. I offer the very best training and the unbeatable prices because I am dedicated to the success of people in the North East community. BOOK YOU PLACE NOW WITH £150 deposit. The balance of £525 is due two weeks before the first weekend.